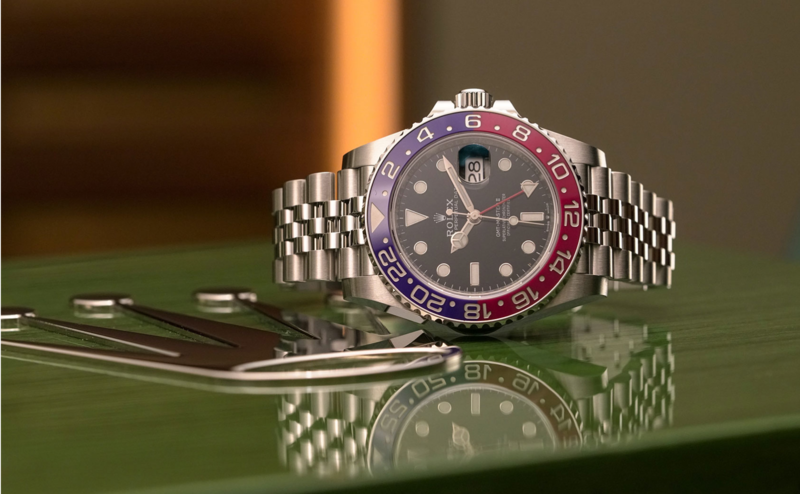 This is an unworn Rolex GMT Master II. Model number 126710BLRO. It has a 40mm stainless steel case, a black dial and blue and red ceramic bezel with a stainless steel ‘Jubilee’ bracelet. The watch has an automatic movement. This watch has never been worn. All the original seals and stickers remain on the watch case. The watch comes complete with all the original boxes, booklets and guarantee papers. The papers are dated 2018 and are from the U.K.